We all know how the "one ring to rule them all" idea ends up in the famous Lord of the Rings Trilogy. The same goes for social media video marketing world. The time of one-fits-them-all approach is long gone. Starting a marketing campaign today without a video as its star player equals going into a war without weapons. It’s simple as that. Tons of data collected every day show that lacking a video content in marketing equals defeat. Video media and particularly social media video content is slowly taking over all other types of content. People cling more and more to videos to get the relevant info they need, and spend less time reading texts or watching static images. Content marketing is also affected by this video frenzy. Consumers want to see products and services presented to them through engaging videos rather than through images or text. Statistics confirm this. Recent HubSpot research in video marketing shows that 54% of consumers want to see video content from brands they follow, in comparison to other types of content such as newsletters, images, or text. They also stated that the most memorable content they received from companies was a branded video content. Here is a short explainer video about the importance of video marketing and social media video. This should be enough to convince you that video marketing is essential for your success. Starting your campaign without a strong and engaging video would create less interest and therefore conversions, which would lead eventually to bad business. It is not just important to have a high-quality video as your marketing star. Where you show it matters as well. Social media are the fastest-growing media out there. Recent changes and developments show us that these platforms are also well-aware of the importance of video in everyday communication. 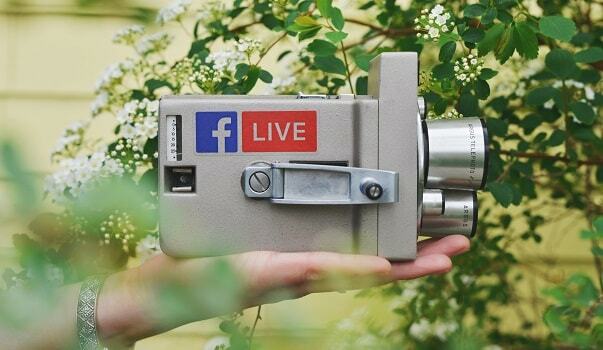 Facebook had launched the Facebook Live option that gives users a chance to broadcast live video to their friends; Instagram has their Stories option with the limit of 1 min for video recording, while Snapchat is all about videos on the go. Today, social media marketing is all about videos. They are everywhere and businesses more and more depend on them. We don’t have as much time as before to carefully read, take time to think about, and decide. Instead, everything happens in a moment so you need to act quickly. Give your audiences a few seconds of content that would make them curious to click on your call-to-action. To help you make the best social media video marketing strategy for success, we share with you several tips you should follow. The world of information is on the move from traditional outlets such as TV and newspapers to social media platforms, as consumers increasingly want to receive information tailored to their interests without the noise of irrelevant data. Each social platform has its particular type of users who are after specific content, presented in a specific format. Facebook allows for more space to share your ideas, while on Twitter users are looking for a quality content presented in no more than 280 characters. With such a particular audience for each platform, you cannot expect results if you post the same video everywhere. Think about going to different restaurants and constantly being offered the same meal. That would probably make you avoid that meal for good! The same analogy works for the social media marketing world. Offer the same video to each media and you probably will bring the same antagonism to your brand. However, this does not mean that you have to film five or ten different videos. You can achieve the desired versatility by making the right decisions during production. You can adjust parts of the filmed material to fit the standards of each platform. "To promote the upcoming Red Bull Air Race in San Diego, we filmed stunt pilot Kirby Chambliss zipping around the sky...we cut the video into seven unique deliverables that would each fit seamlessly into a social outlet: Facebook, Instagram, Instagram Stories, YouTube and Red Bull’s website." As you can see, they shot material once and then made several deliverables that would be perfect for each platform. Making good editing decisions during video creation will put you one step closer to your goal. With the short attention span of online viewers you’ll need to hook them in the first few seconds. Start with a great video intro, or engage them with an exciting teaser. Another option is to come up with a really exciting and original story that viewers would enjoy. One example of the amazing video marketing strategy focused on the viewer’s curiosity is the Red Bull’s Stratos space diving project involving Felix Baumgartner. Check out the video to see the amazing social media effect they achieved with this famous jump from the edge of the space. It literary kept everyone on the edge of their seats. Of course, you are not expected to make something similar, but going for unexpected, trilling, and original content even if it’s about how to excel in math exam will surely bring you more followers. Don’t forget also to adjust the length of your video for each platform, and also check the view-through and completed view rates to see how successful your videos really are. Love filming your cat’s fooling around or yourself giving tech advice? Thinking that these videos will equally attract people regardless of the platform is wrong. While you may go viral on YouTube with this type of video, viewers on other platforms may give you a cold shoulder. That is because a certain type of content attracts viewers on a certain type of platforms and not on others. While users of Twitter and Facebook go there to gather news, Instagram, Pinterest, and YouTube are known as ‘how-to’ platforms and places where users go for inspiration and entertainment. Announcements of new products will be better received on Twitter or Facebook, while videos giving tips will have more success on Pinterest, Instagram, and YouTube. Therefore, tailor your content accordingly. The same goes for video marketing. Pick your videos wisely so that you remain relevant on each platform. If you are unsure about the content each platform prefers, you can check some useful guides about trending topics on social media. You’ll see which stories are trending where, and what type of content gets more engagement. While it is important to know what type of content best fits different social media, it is important to know how the content is styled as well. Avoid the error of looking like an oddball – style your video to fit with the content your viewers expect to see. There is no point in using high-gloss cinematography for Snapchat for example, where people expect to see content made with a phone camera. If you are unsure how Snapchat works for video (which is not unusual as they tend to change their app more often than any other platform) you can get familiar with it by watching how-to videos like the one posted below. Also adjust the format of your videos and don’t forget to add captions, as many viewers will watch your video without sound. SEO (search engine optimization) is a marketing method that can help more people find your video and share it. When people searching Google or other search engines find your video, they may be likely to share it on social media. So in addition to appearing on social media, it would be great for your videos to appear in the search engine results. Socia media can also help with SEO. Social media can help to optimize your video to appear in search engines like Google when you create a connection between that video's social media presence and your website. Include a link back to your main website domain in your video descriptions. Adding your video to your social channels helps to create more external links pointing back to it. Not only that, both people who watch the video on Youtube and other websites on social media could reference the link when they see it, which also helps with your SEO. Optimizing your video for SEO is another article in itself. But you can use social media to help with it. Although many of us may think of social media as the places where we share our life stories and events with friends and family, they are also powerful marketing channels where brands fight for attention and impressions. When creating your social media marketing strategy, it is important to look at each social platform separately and create content that will best interact with the platform's users. Having the same approach for all can easily backfire. Instead, use some time to explore how you can adapt your content to avoid this mistake. This way you’ll keep your viewers engaged and make yourself relevant. Surprisingly, the most engagement with videos today comes from Facebook and Instagram. Check out our next blog post where we will explain how to master your social media video posts for this and other popular platforms in order to draw engagement!